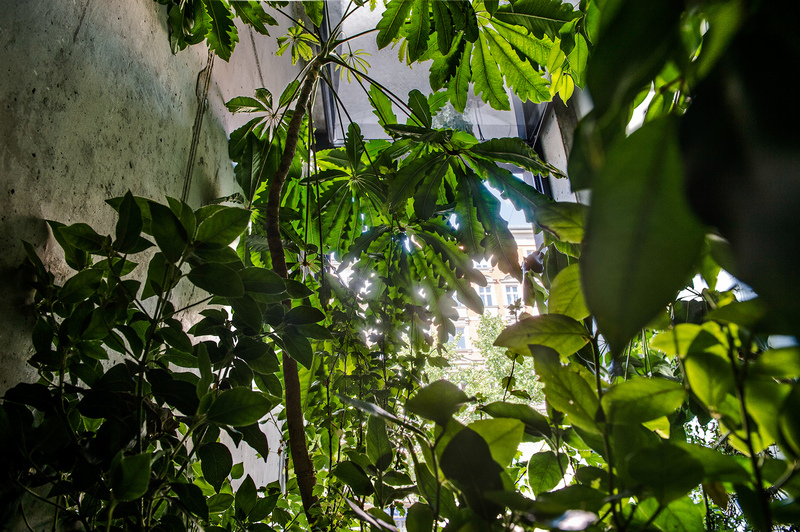 Land is a composed structure of plants simulating a wild mythical forest. 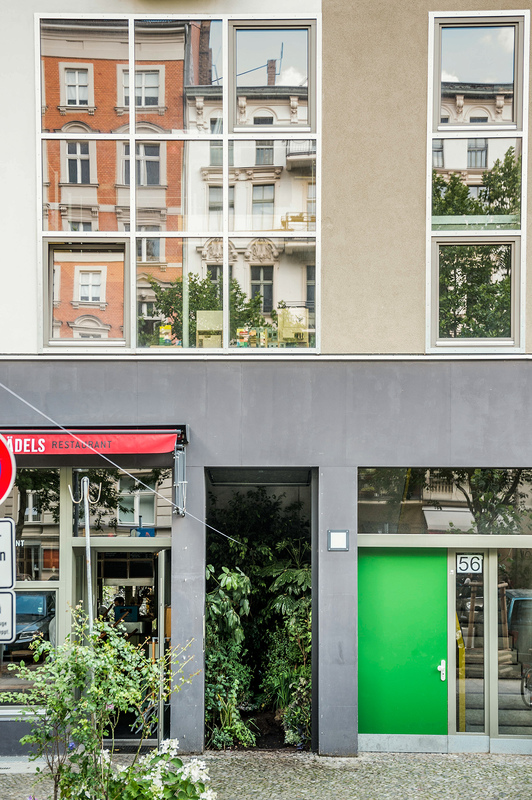 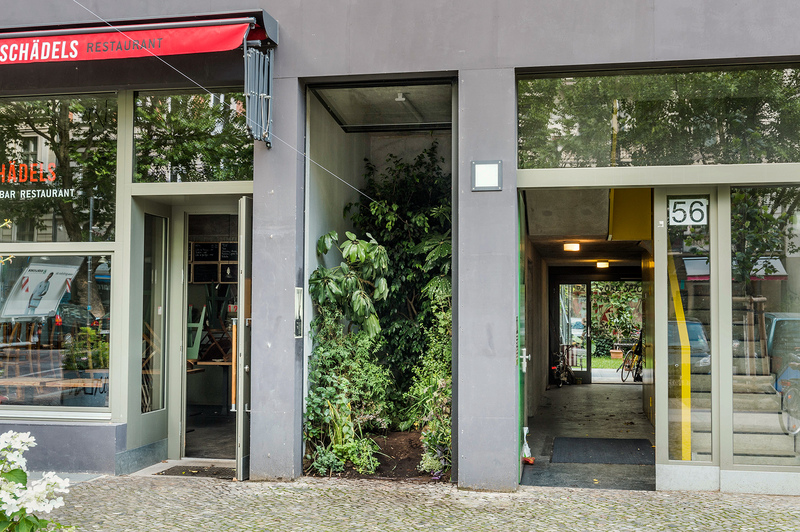 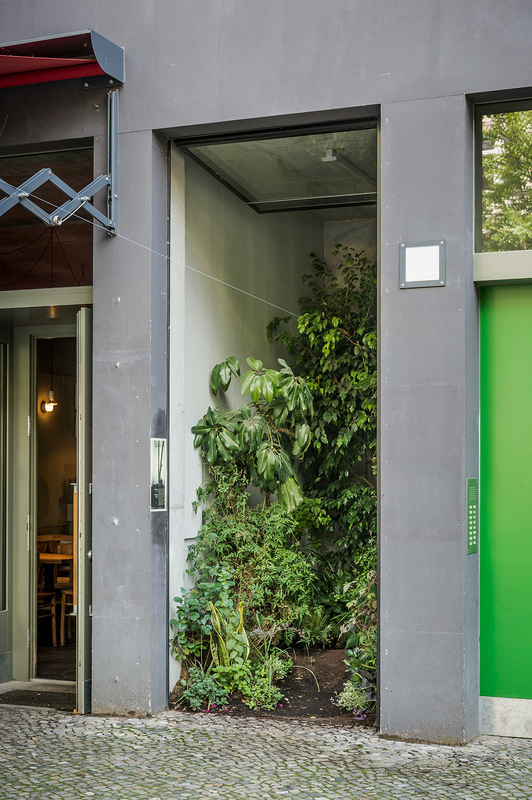 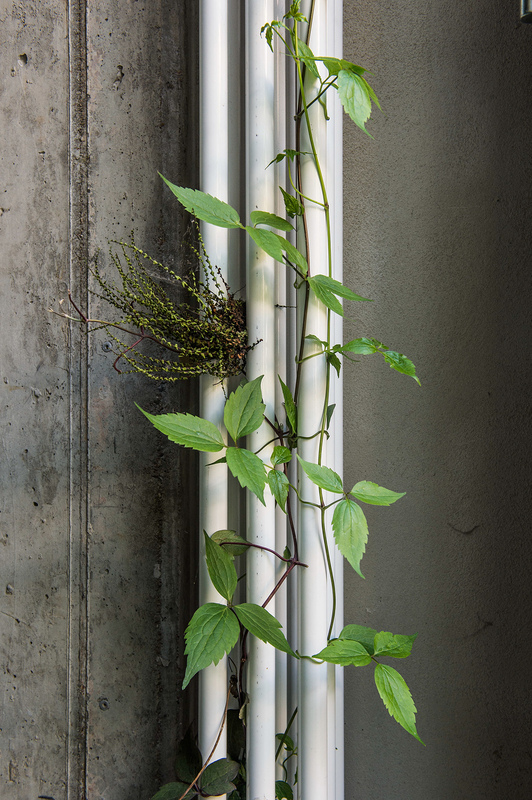 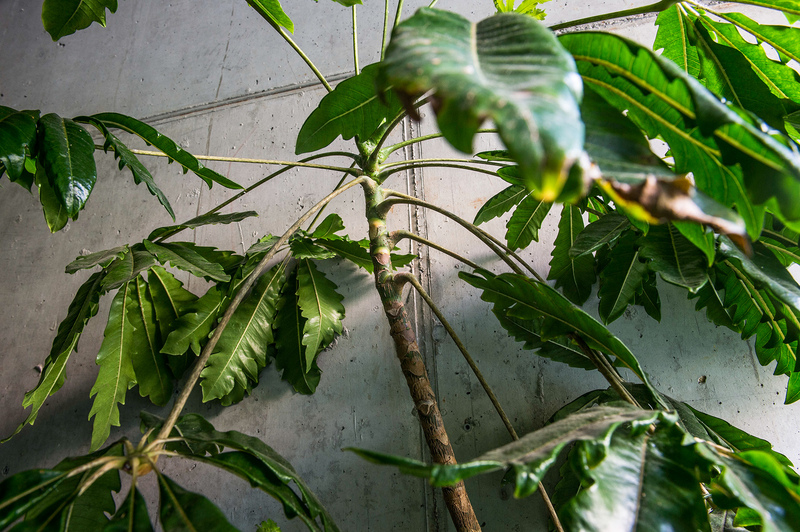 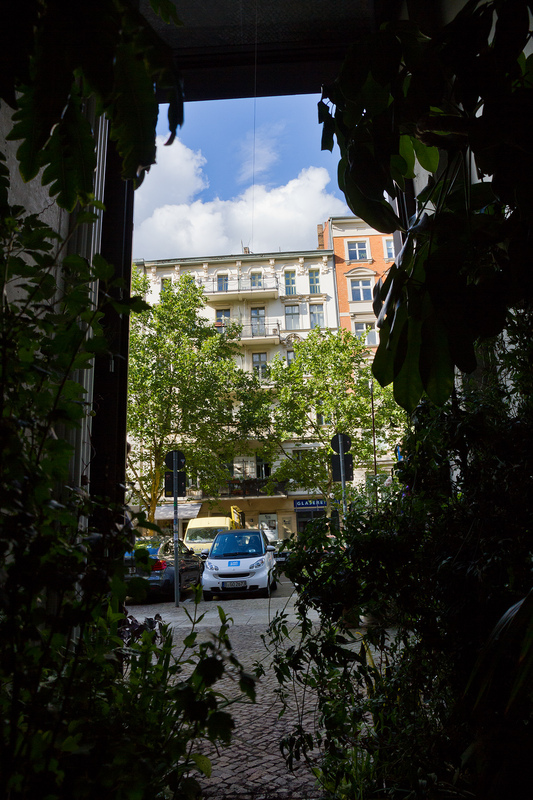 For the duration of the exhibition the entire facade of die raum will be removed to reveal a wild mixture of plants of ­diverse origin; a spiky cactus paired with a luscious ficus standing next to red currant bushes normally associated with European home gardening. 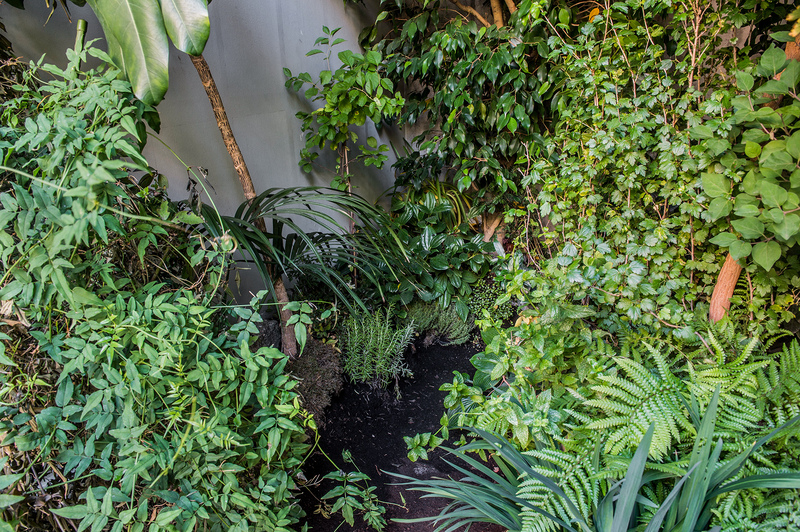 The compilation of plants are ­chosen not only for their botanical diversity and aesthetic character, but also for their cultural value, their smell and their taste. 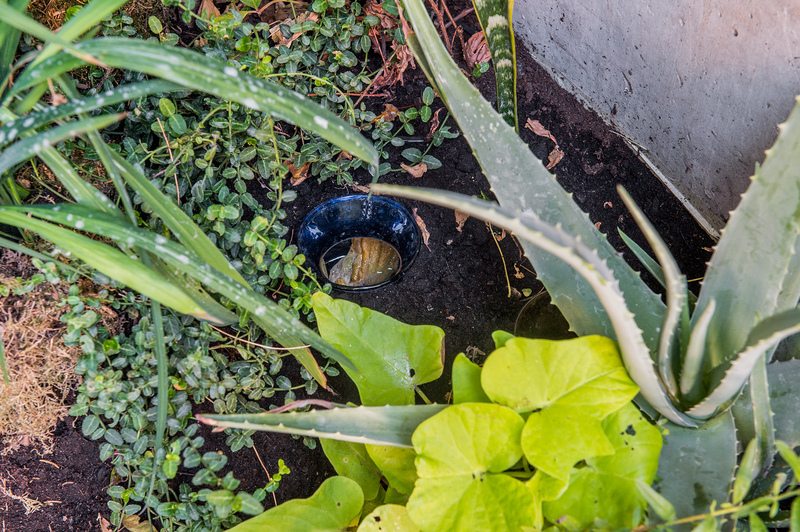 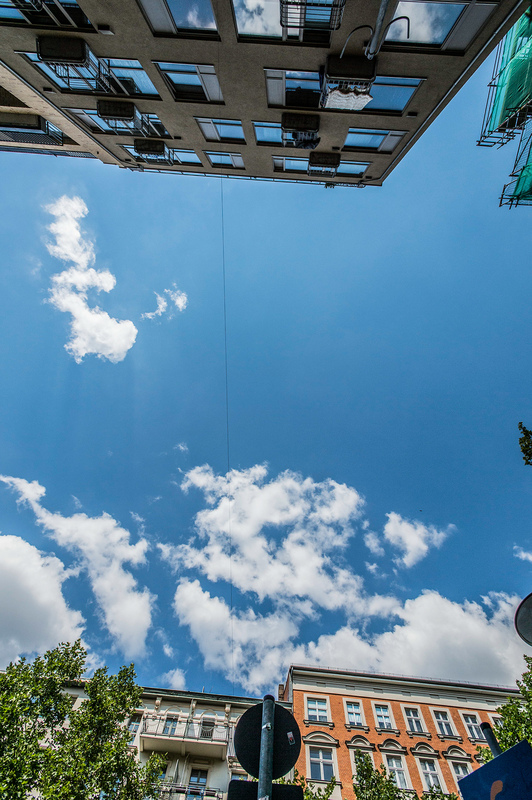 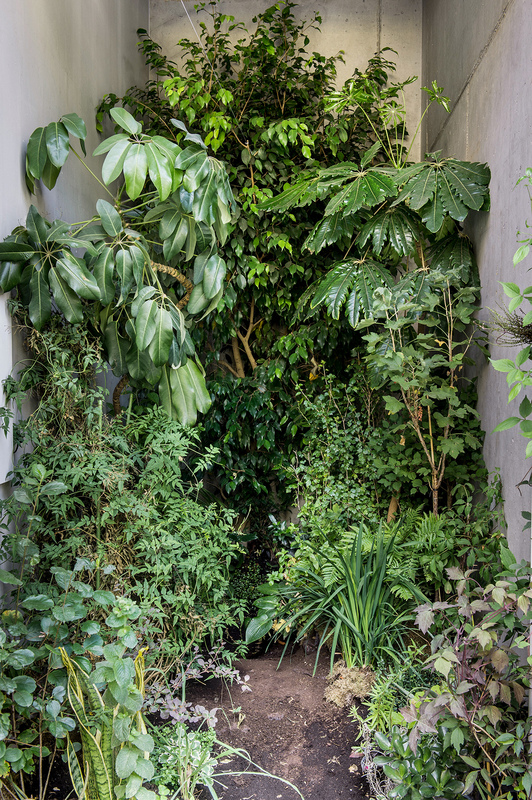 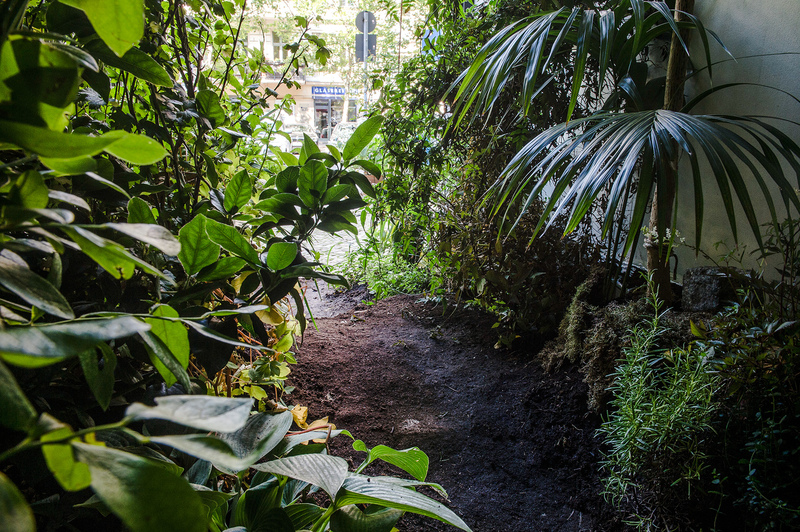 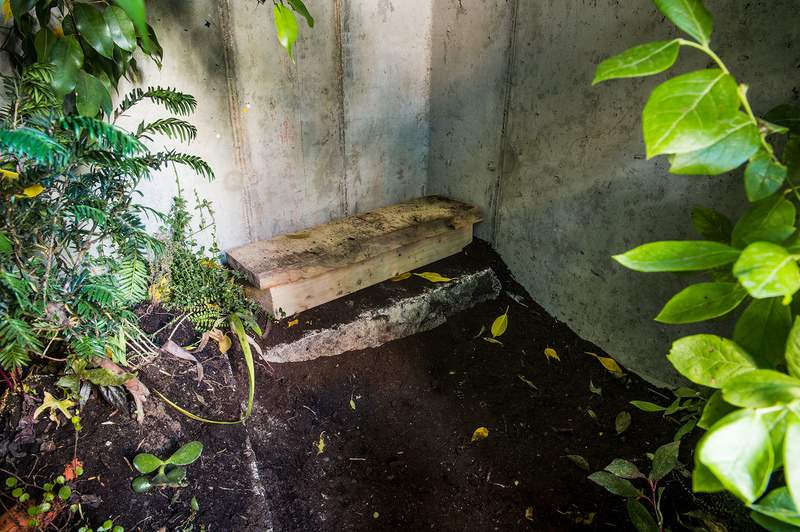 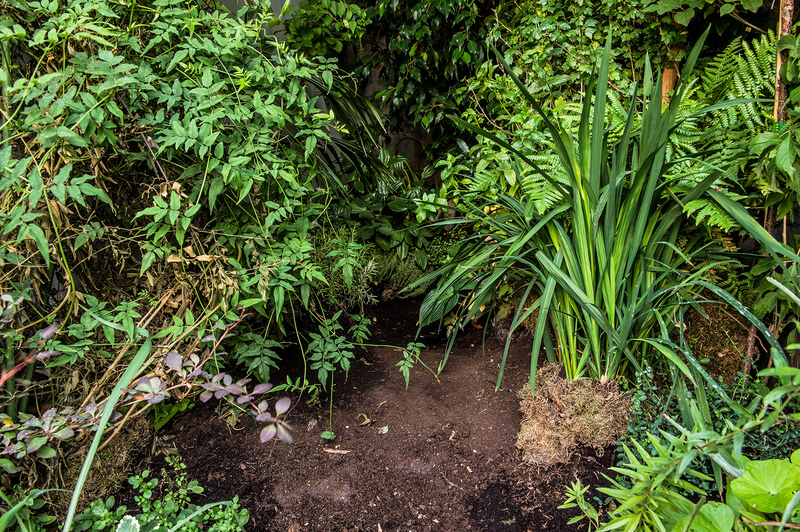 The installation works as a displaced “multicultural” 5 m3 biotope with a tiny path in the middle that encourages the viewer toward a close encounter with (if not total absorption in) the greenery that might lead to mysterious findings. 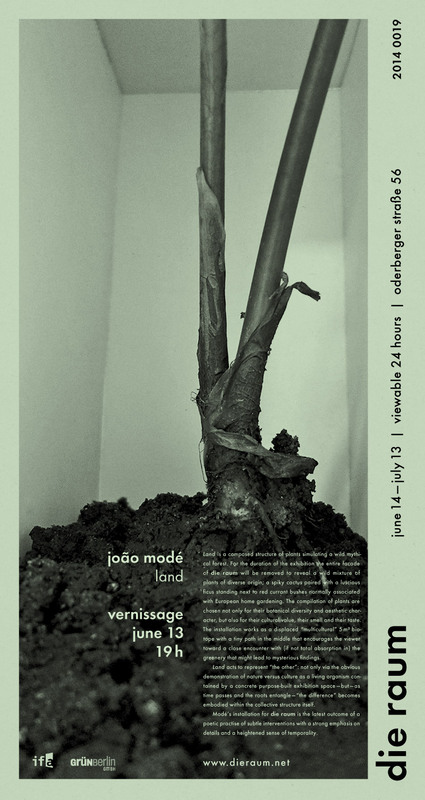 Land acts to represent “the other”: not only via the obvious demonstration of nature versus culture as a living organism contained by a concrete purpose-built exhibition space — but — as time passes and the roots entangle — “the difference” becomes embodied within the collective structure itself. 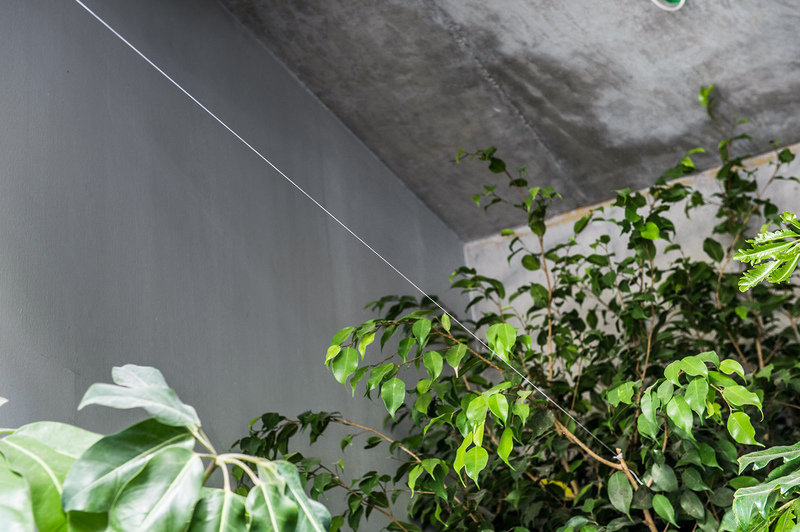 Modé’s installation for die raum is the latest outcome of a poetic practise of subtle interventions with a strong emphasis on details and a heightened sense of temporality.